Rodrigo Junqueira dos Reis Santoro (born August 22, 1975) is a Brazilian actor. He started his career acting in different soap operas in his country. In the last few years, he has become known after his roles in the movies Love Actually and 300. Santoro was born in Petrópolis, Rio de Janeiro state. He is half of Italian descent. Santoro at the 2013 San Diego Comic-Con International, promoting 300: Rise of an Empire. Santoro holding the statue he won at the 44th Festival de Brasília for the movie Meu País, in 2011. 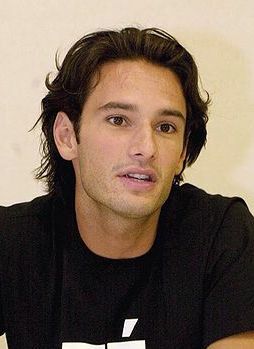 Rodrigo Santoro Facts for Kids. Kiddle Encyclopedia.